Another potential revenue source is raising the state gasoline tax. Last week Governor Baker proposed increasing the tax on real estate sales to generate about $1 billion over a decade for a fund to invest in projects that protect cities and towns from the impacts of climate change. Baker’s proposal is an important first step in recognizing the dire impacts of climate change and planning for the investments in resilience needed to protect life and property. The scale of the challenge, however, will require more substantial resources alongside funding mechanisms that spread the burden fairly and equitably, while providing appropriate incentives. Last April, the Sustainable Solutions Lab at UMass Boston released a report, funded by the Barr Foundation, that examined options for financing projects to protect Boston from rising sea levels and more severe storms. The cost to the city could reach $2.5 billion over the next decade for public works such as seawalls and elevated roads. With constraints on municipal financing and ballooning federal deficits, our report suggested that the state might need to provide around one-third of this. 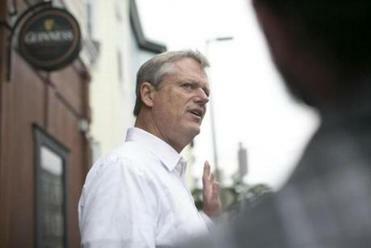 Baker’s proposed $1 billion represents only a small down payment on statewide needs. These costs are substantial, but the cost of doing nothing is far higher. Recent reports on climate adaptation in East and South Boston show that resilience investments pay high dividends in the form of avoiding damage to buildings and infrastructure and associated economic disruption. Baker’s proposal envisages increasing the excise tax on real estate transfers by 50 percent, from $2 to $3 per $500 of property value. With the median price of homes in Boston at $600,000, this would increase the tax by $1,200 in a market that is already slowing. Although a property-based tax is broadly progressive, a transfer tax is narrow and arbitrary, since it only falls on those selling property. It also throws grit in the workings of the housing market because it raises the cost of moving, for example, for a new job. Moreover, cities will likely need to raise property taxes to pay their share of resiliency costs, adding to the overall tax burden on property. There are better ways to raise the money. A statewide carbon tax would generate substantial revenues, spread the burden broadly, and provide an incentive to reduce carbon emissions. Several bills in the Legislature would recycle most of the revenues to taxpayers but also dedicate a portion to green infrastructure and clean energy. Alternatively, raising the state gasoline tax by just 5 cents would generate an extra $150 million a year. The Massachusetts rate, at 26.5 cents per gallon, is among the lowest in the Northeast and mid-Atlantic: Rhode Island’s gas tax is 34 cents, Connecticut’s is 43.8 cents, and New York’s is 45.8 cents. 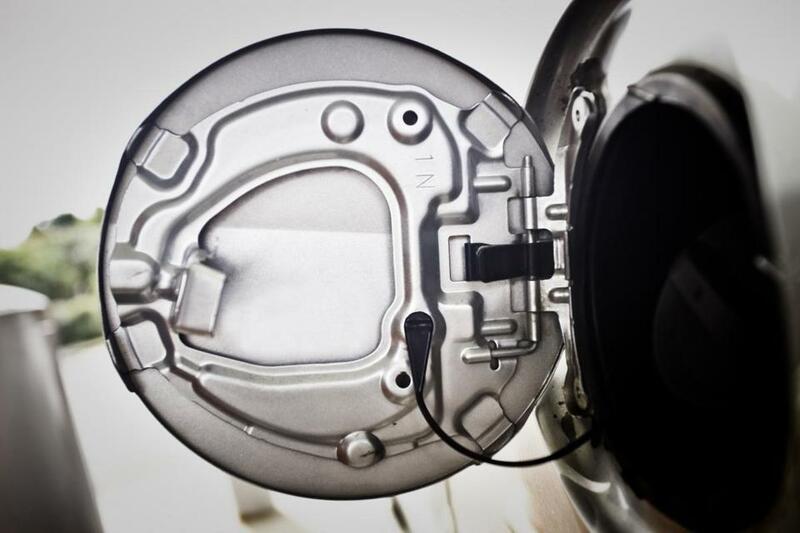 This would also encourage consumers to consider more efficient cars and hybrid-electrics. Another option is a small “resilience fee” on water and sewer bills, similar to the one on electricity that pays for clean energy programs. One advantage is that everyone pays, unlike property taxes, from which many institutions are exempt. Our report also examined other creative solutions that help markets price climate risks more accurately. For example, a New York state proposal envisages a small surcharge on all property and casualty insurance policies, raising several billion dollars over 10 years. This would align the cost burden with risk exposure and provide an incentive for property owners to reduce those risks. These market-based approaches won’t eliminate the need for public infrastructure spending, but are a valuable complement that would reduce the strain on the public purse. Insurance companies are waking up to the idea. The Insurance Institute for Business and Home Safety FORTIFIED program has developed resilience standards for residential and commercial properties, and several southern states have developed programs that offer insurance discounts to property owners who meet the standards. The future prosperity and security of the region’s businesses and communities demand large-scale investments to reduce the risk of major disruptions. Moving forward will require political will and courageous leadership. There is no silver-bullet solution — we need multiple funding sources and collaborations with the private sector to generate the required resources, spread the burden fairly, and promote market-oriented solutions. Raising taxes is never popular, of course, but the billions needed for climate adaptation also present a unique opportunity to reshape our cities and renew our infrastructure in ways that promote sustainable growth and equity for the communities of the region. David L. Levy is a professor at the University of Massachusetts Boston and academic codirector of the Sustainable Solutions Lab.